This Thursday and Friday, May 24 & 25, Spokane Symphony's Concertmaster, Mateusz Wolski, will share his love of music, science, comedy and competition with the help of an eclectic ensemble of Spokane Symphony musicians and special guest, Beatboxer Extraordinaire, Eli Dyer for 'The M Show'. The performances will be held at 8pm both nights at the Washington Cracker Co. Building, 304 W Pacific Ave, between Division & Washington. The program includes live classical and pop music; a comical exploration of the sound of speed; a competition in lung power; and an 'American Idol-style' video spoof of the Symphony's upcoming search for a new conductor, featuring cameo appearances by Spokane Mayor David Condon, KREM2 Meteorologist Tom Sherry, and comedian Phillip Kopczynski. There is a no-host bar, and concertgoers are invited to stay for the after party. Tickets available at the Box Office of Martin Woldson Theater at The Fox, or by calling 509-624-1200, and at www.ticketswest.com or 800-325-SEAT. Hennessey Funeral Home presents Memorial weekend celebrations at 2203 North Division, this Sunday and Monday, May 27 & 28 from 9 to 5pm each day. 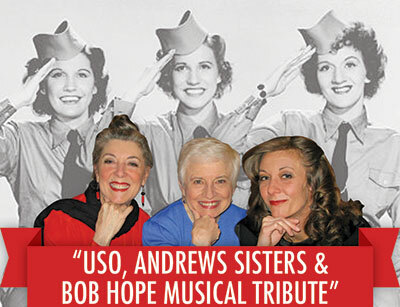 To honor our Veterans and our loved ones, the weekend includes The Bob Hope USO Andrews Sisters Revue, starring Tim Behrens and the Andrews Sisters: Leslie Ann Grove, Pamela and Olivia Brownlee. Three Shows ONLY, Sunday, May 27 at Noon, and Monday, May 28 at Noon and 2pm. The recently remodeled Funeral Home also features Janet Ahrend on pipe organ, the Spokane Brass Works and a jazz trio starring Brent Edstrom and Friends. You can peruse displays from Honor Point Military and Aerospace Museum as well as Joe Bruce's NASA Space Display. The Hassie Club will present a classic and antique car show and Nostalgia Magazine will be there showcasing Spokane history. Event is free both days, and there will be plenty of coffee, punch and cookies. For more information, call 509-328-2600. Spokane Festival of Speed, at Spokane County Raceway at 750 N Hayford Rd in Airway Heights will be held Friday through Sunday, June 1-3. 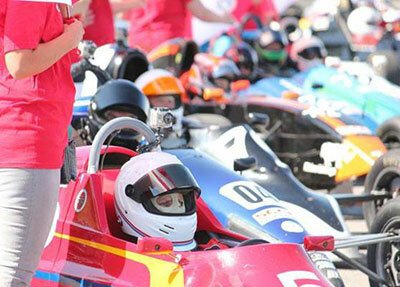 There will be lots of events all weekend long, including, The Race Car Tour and Car Show in downtown Spokane Friday night, The Festival open-road Race Car Tour, Vintage Race Car Show, Porsche Exhibits, Driver Reception, Special Guests, Live Music, Memorabilia, Race Tickets, food and & fun throughout the evening. Don't miss it! For more information, visit spokanefestivalofspeed.org. The Eagles perform at the Arena tomorrow night! 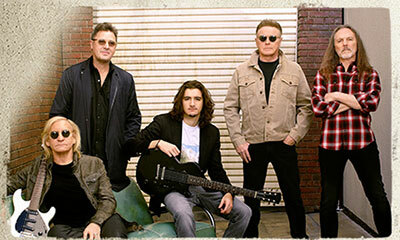 The Eagles take the stage at the Spokane Arena on Thursday, May 24 at 8pm. Special guest is JD & The Straight Shot. Enjoy the great Eagles music of the 70s and 80s and re-live Life in the Fast Lane, Hotel California and more. This concert was originally schedule for May 8, so all tickets for the original show will be honored for this new concert date. Tickets available through www.ticketswest.com or 800-325-SEAT. Weird Al's 'Ridiculously Self-Indulgent, Ill-Advised Vanity Tour' is coming to the Martin Woldson Theater at the Fox this Sunday, May 27 at 8pm. Special guest is Emo Phillips. The four-time Grammy winner foregoes his usual high-octane, big-production show for an intimate evening of music, focusing on original (non-parody) songs from his 14-album catalog. Weird Al's most recent album Mandatory Fun was the first comedy album in history to debut at #1 on the Billboard Top 200 chart. This year, he will be awarded a star on the Hollywood Walk of Fame. 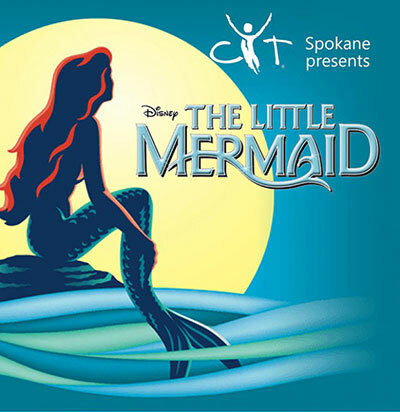 The Little Mermaid presented by CYT Spokane comes to the Bing Crosby Theater, Friday, May 25 at 7pm. Based on one of Hans Christian Andersen's most beloved stories and the classic animated film, Disney's The Little Mermaid is a hauntingly beautiful love story for the ages. Other performances are Saturday, May 26 at 3 & 7pm, Friday, June 1 at 7pm, Saturday June 2 at 3 & 7pm and Sunday, June 3 at 3pm. Eastern Washington University's Music department presents an innovative concert collaboration between its distinguished Symphony Orchestra and Jazz Ensemble as they perform the U.S. premiere, and only the second performance worldwide, of a lost work known as Scheherajazz. 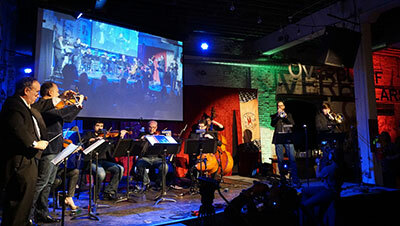 The performance will be Thursday, May 31, 7:30pm at the Martin Woldson Theater at the Fox. Scheherajazz is a classical/jazz version of the famous orchestral masterpiece Scheherazade composed by Rimsky-Korsakov in 1888. The concert will also feature a variety of EWU Chamber Ensembles, and proceeds will benefit the EWU Orchestra and Jazz Ensemble. Tickets and more information available at www.foxtheaterspokane.org. Tickets are also available at the Box Office, or by calling 509-624-1200 and at www.ticketswest.com or 800-325-SEAT.